Bonjour, et bienvenue à la Rustique France! I've been in love with France since I was a young girl of 11 and saw the incredible Mont Saint-Michel for the first time. I was in Heaven when I discovered French chefs, flambéing crêpes outside(!) to sell to passing tourists, as we made our way up through the steep and narrow village street to the top of this magical island. My school studies, ending with French 'A' Level, continued my love of the beautiful French language, and introduced me to the bohemian world of Satres, Camus and Beauvoir through their literature. I simply had to seek out Les Deux Magots and Café Flore in Paris just so I could see for myself the hang-outs and haunts of these vivid characters - spending hours soaking up the 'boho' & (shabby) chic habits . I visited two of them, Satres and Simone de Beauvoir, at Montparnasse Cemetery too, a serene and beautiful final resting place. Discovering relais and châteaux in the Cognac & Charente regions, touring Pineau distilleries and Champagne houses, finding crazy local bars in Parisian side streets, where the men wear full length fur and some of the women are still kohled & rouged in the old-style, colourful and theatrical as if from 19th Century 'Gai Paris', and kayaking down the Charente River 'en famille', simply heightened my awareness of the distinctive and seductive French mode. So, living here now, full time, realises a dream from since that very first time. This particular area of the Poitou-Charente offers so much; a relaxed and 'facile à vivre' existence....Medieval towns, market squares and villages strewn with bunting, a stunning green vastness dotted with châteaux , vineyards, corn and sunflowers; lazy rivers and glossy lakes, watch-the-world-go-by cafés and al fresco dining. Multi-faceted markets pop up every day in one town or another, offering everything from fresh meat and vegetables to textiles and live animals. Music is of vital importance too, festivals are common-place and bands play regularly in even the smallest towns. Added to this, it's easy to drive to the magnificent Atlantic Coast - to the seaside spots of Royan and La Rochelle, or to the bigger and historic towns of Angoulême, Cognac and Bordeaux to name a few. Uncomplicated, also, to venture further to the ski resorts in the East or La Belle Paris in the North. 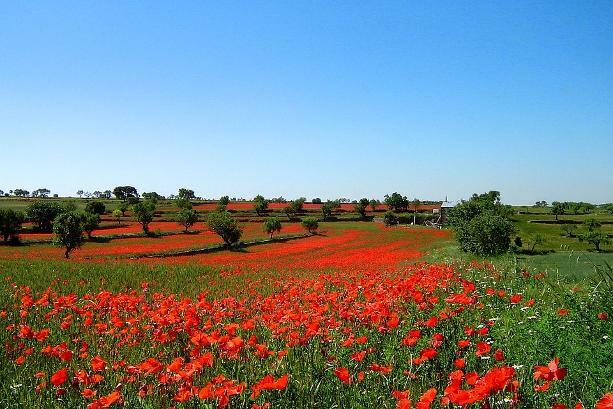 Plus, the spacious and easy road and rail network ensures travel to Spain, Italy or UK, from this popular area of South West France, is smooth and clear. I bought our farmhouse and gîtes in the very early Spring of 2018. After 18 months and heaps of viewings of so many different properties in South West France, I ended up in La Gaillochonnière and fell for this treasured property in about 2 minutes flat. Gorgeous, even in the Winter! It just needed to be loved once more. Buying an old and, in-part, rundown house in France is definitely not for the faint-hearted !! This one needed a lot of work, but I've enjoyed working slowly through the accommodation with my family and friends to bring it back to life, and have loved introducing my own ideas and tweaks to the 300 year old residence and Barns. 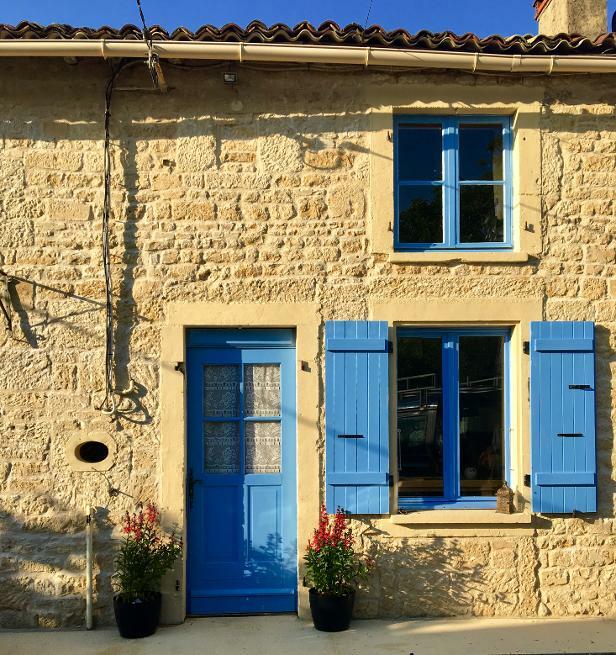 Rustic France combines an original French charm with all the comforts you would want in a modern home. 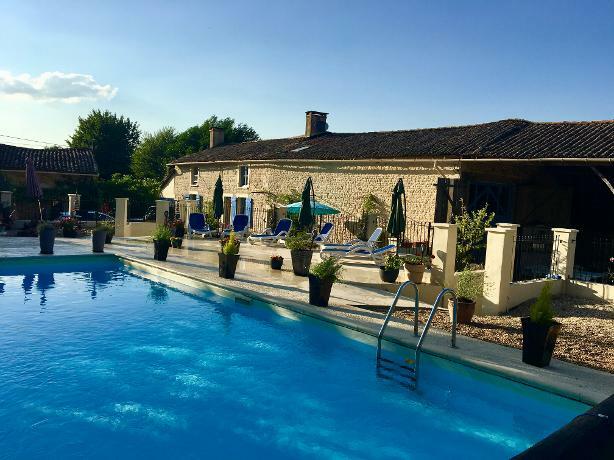 I know what I would wish for and expect from a holiday cottage in France, and I hope I will offer the same calm retreat that you too will not only want to visit, but to come back to again and again! We live on site in the farmhouse and ,although I am involved in other projects too, I am usually right next door, and certainly never far away, should you need any advice or help during your stay.